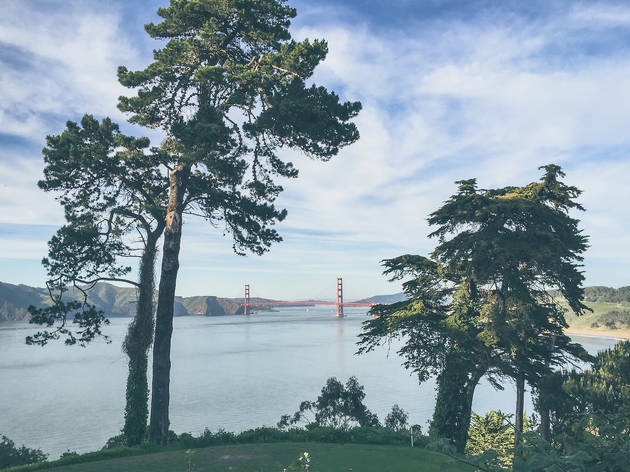 Lace up your sneakers for these gorgeous hikes around the Bay Area. Happy trails! Start: The main entrance to Claremont Canyon is on Stonewall Road (a block north of Claremont Hotel). Views for days: They don’t call it the Stonewall Panoramic Trail for nothing. This trek through the Berkeley and Oakland hills boasts stunning views of the bay around every corner. Fuel up: The short hike includes more than 700 feet of steep ascent. Make sure you pack plenty of water and snacks. Forest friends: Keep your eyes peeled for red-tailed hawks, deer and even the occasional fox sharing the path with you. Start: Hop a Blue & Gold Fleet ferry to Angel Island, then take the Perimeter Trail right off the exit to the North Ridge Trail. Catch a view: Ignore your burning calves and continue climbing the path until you intersect with Ida Trail; this leads to the summit of Mount Livermore, the highest peak on the island. All that hard work is well worth it for 360-degree views of the Bay Area. Camp out: Enjoying island life? 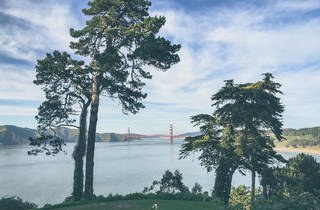 You can reserve a campsite in Angel Island State Park (800-444-7275, parks.ca.gov) to see the SF skyline lit up at night. Start: Begin this eight-mile out-and-back expedition at the Palomarin Trailhead (a parking lot also marks the spot) before traversing through forests, tall brush and rugged coastlines. Waterworks: Scramble down the sandy cliffs at the end of the trail for selfies with Alamere Falls, a spectacular 40-foot waterfall that plummets into the Pacific Ocean. Cool off: Bring your swimsuit for a dip in the tranquil and sunny Bass Lake on the way back. There’s a rope swing! Start: Check out the new visitor center, Lands End Lookout, for information about the natural and cultural history of the area. Then trek on the Coastal Trail. Find Zen: Take the turnoff to Mile Rock Beach to walk the large, seaside stone labyrinth by artist Eduardo Aguilera. History lesson: Wander the Sutro Baths ruins, a massive saltwater swimming-pool complex that opened in 1896 and operated for more than half a century. Sarah is the editor of Time Out San Francisco. She lives in Oakland with her very cute dog, Indiana Jones. Follow their adventures on Instagram @funkycolsmedina. Is San Francisco still the most brunch-obsessed city in the world? We're trying to find out. A Gummy Bear Museum is coming to San Francisco this summer!